We're not saying that women are always write, but Grrrl Con puts forward a pretty convincing argument for it. Taking place over two days (Sat 11 and Sun 12 Jun), this event champions the work of female authors, while encouraging upcoming writers through a series of readings, talks and workshops. Grrrl Con is presented by Write Like a Grrrl (a creative writing course founded by Kerry Ryan in 2013), and For Books' Sake (a charitable organisation which supports writing by women). Its aim is to provide attendees with essential tools, insight and inspiration, so that they might hone their writing craft, and develop confidence in their skills. It also aims to connect upcoming writers with a nationwide literary community. A stellar lineup of guests have been confirmed for the weekender, including Makar Jackie Kay, acclaimed literary agent Jenny Brown, crime writer Denise Mina, Amina Shah from the Scottish Book Trust, plus novelists Leone Ross, Kirsty Logan, Helen Sedgwick and Lucy Ribchester. Also on the bill is Jupiter Artland's Poet in Residence Marjorie Lotfi Gill, and poet Khadijah Ibrahim. 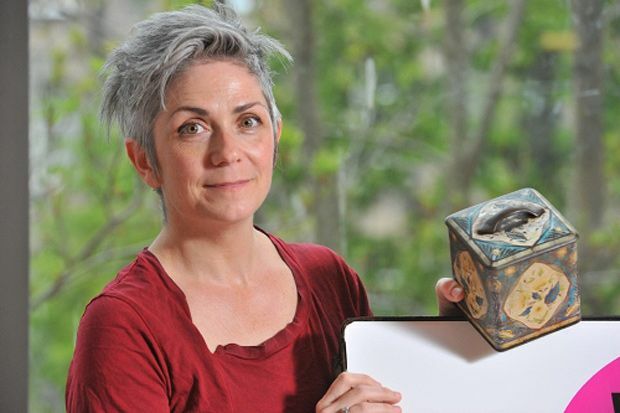 The event takes place at the Scottish Storytelling Centre, and is open to self-identifying women over the age of 18 of all backgrounds, abilities and ages. Grrrl Con, Sat 11 and Sun 12 Jun, Scottish Storytelling Centre, Edinburgh.